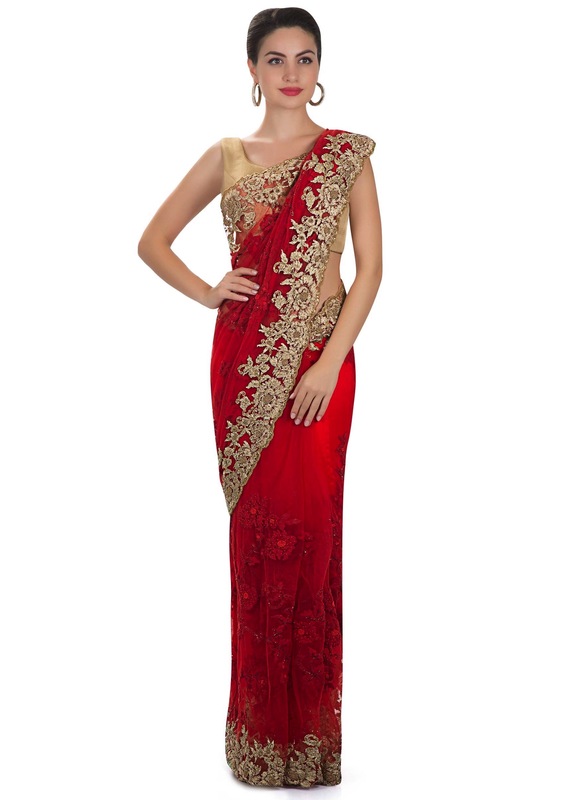 Be the showstopper at functions and parties with this net saree in red. 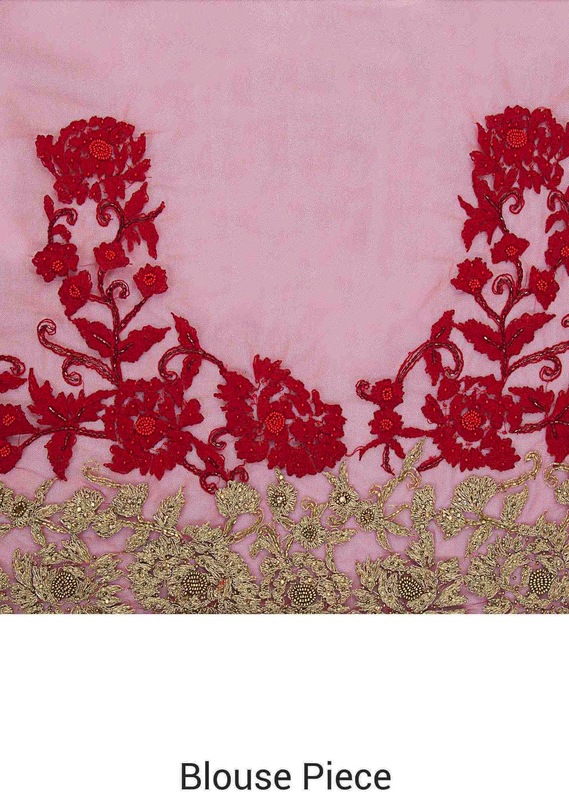 The intricate patterns are decorated with moti, cut dana, thread embroidery and zari work. 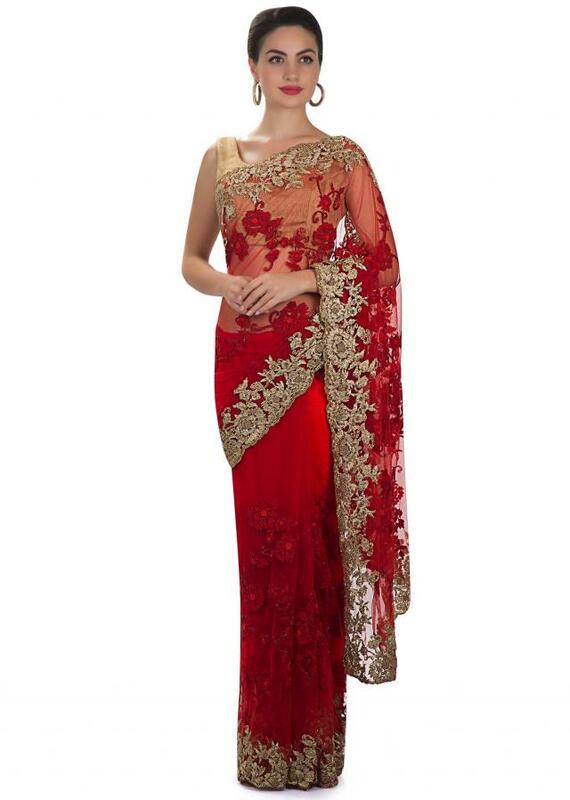 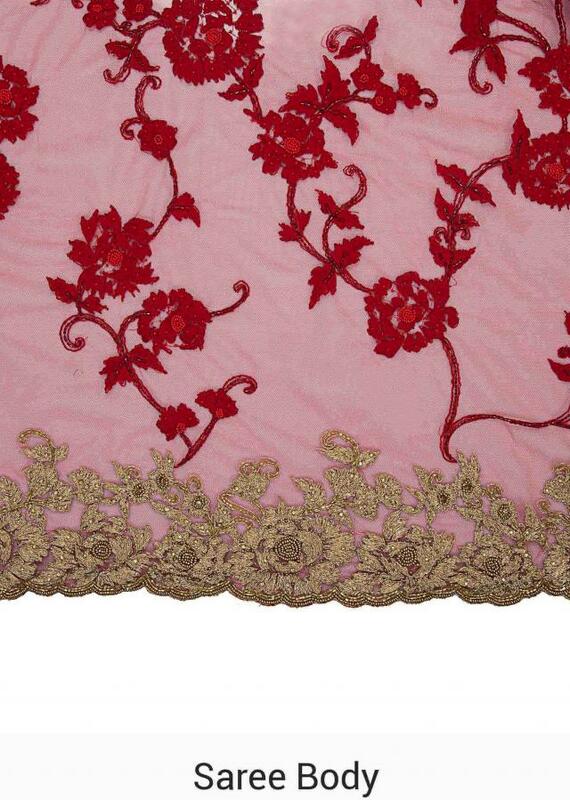 It is accompanied by an embellished unstitched red blouse made from net.